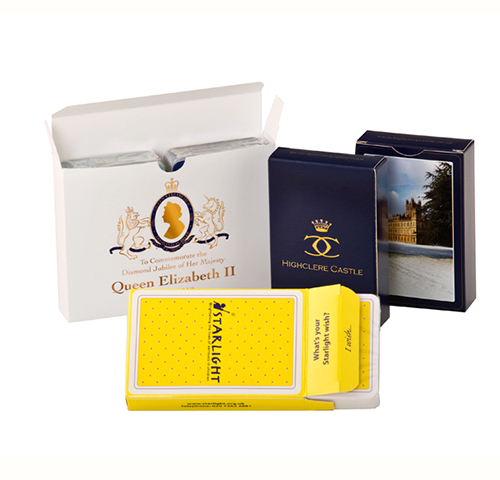 Playing card box can be fully customized with custom design and logo. These boxes can carry decs of cards of count 48, 56 or 92 cards. 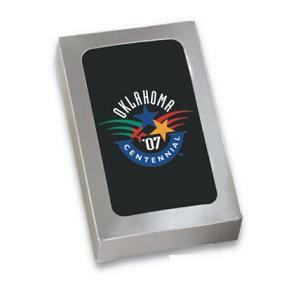 We produce playing card boxes using 14pt, 18pt or 16pt tick card stock. 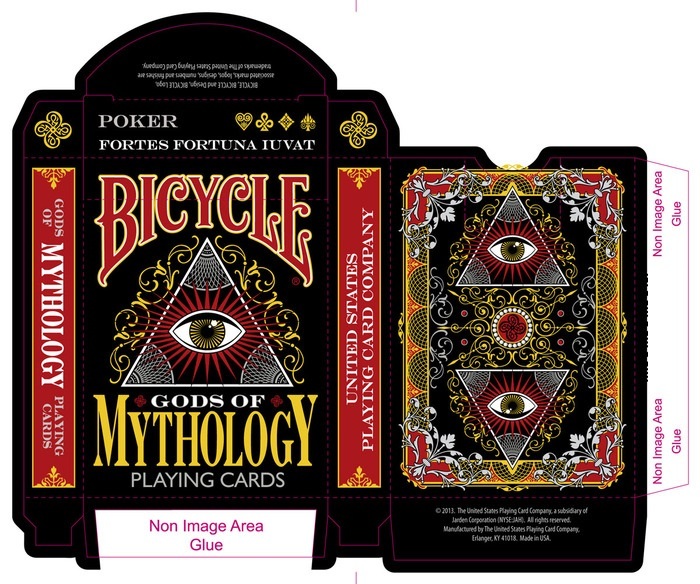 We also offer die cut window either on front or back of playing card boxes. We print full bleed, full color on these boxes and foiling option with embossing is also available to give it great 3D effect. Fill in the below form to get Instant price quote! Standard Size: 3.5"x2.5"x1". Also available in any other custom size with flat size within 28"x40"
We would like to Thank you for good job on our boxes! We love the print job on our cards game box done by myboxprinter.com. We will be back for much larger order! Our die cut playing card boxes arrived yesterday and we were very happy with them. Nice thick stock and quality printing. We would place another order next month of similar card boxes!